Highway driving is a big part of your daily routine if you have a longer commute to and from work. There are some 146,000 miles-worth of highway in the U.S. and, with 143 million Americans commuting to and from work, 83% of whom use their personal cars (and most of them take aboard no passengers), millions of cars are utilizing the highway system on a daily basis. Approximately 3.3 million people have a commute that’s longer than 50 miles, and about 7% of the working population must tackle a +100-mile commute to get to their jobs. All these people need a car they can depend on during their daily journies, a car that’s good on fuel, has enough torque and power to merge adequately, isn’t going to leave you with a bent spine when you finally get out of it and isn’t too expensive to maintain. You’ve seen them: the folks who can’t seem to wrap their heads around the concept of merging or who forget that there’s a time for them to be on the left lane and that time isn’t all the time. But you aren’t one of them, and we’re here to help you choose your next ride on the basis of how well it copes with highway driving. Here are the best highway cars money can buy in the U.S. The Audi A6 is representative of the German mid-size luxury sedan. I could’ve gone for either the BMW 5 Series or the Mercedes-Benz E-Class but, frankly, I like the A6 the best simply because, in my view, it has the best interior of the three. Not only do you get three digital screens on the dash of the revised 2019 model, but also the quality of the materials all throughout the cabin on top of the fit and finish is superior to what you get in a Merc. And all of this matters since you’re going to spend a lot of time driving the A6 down the highway. 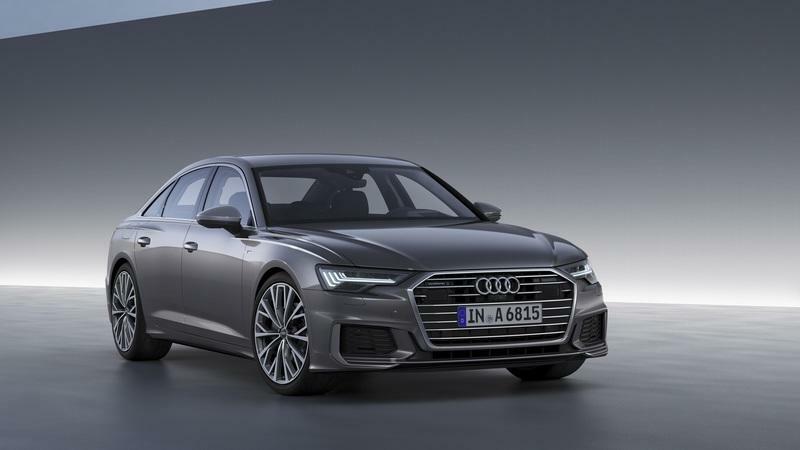 Then there's the fact that the A6 is packed to the brim with clever tech: you get the car-to-X services, such as traffic sign recognition or hazard information plus lane-keep assist and efficiency assist to keep your mileage in check. Couple that with a punchy 3.0-liter, turbocharged V-6 capable of 340 horsepower and 369 pound-feet of torque (with 29 mpg highway) and you end up with a contender for the title of ’best car for highway driving’; all for about $59,000 (a $9,000 increase over the old model). As such, it’s not as cheap as the next highway cruiser on this list but it doesn’t aim to be. My aim with this list is to cover all the bases. You won’t only find luxury sedans, nor will you only find a plethora of crossovers or minivans. 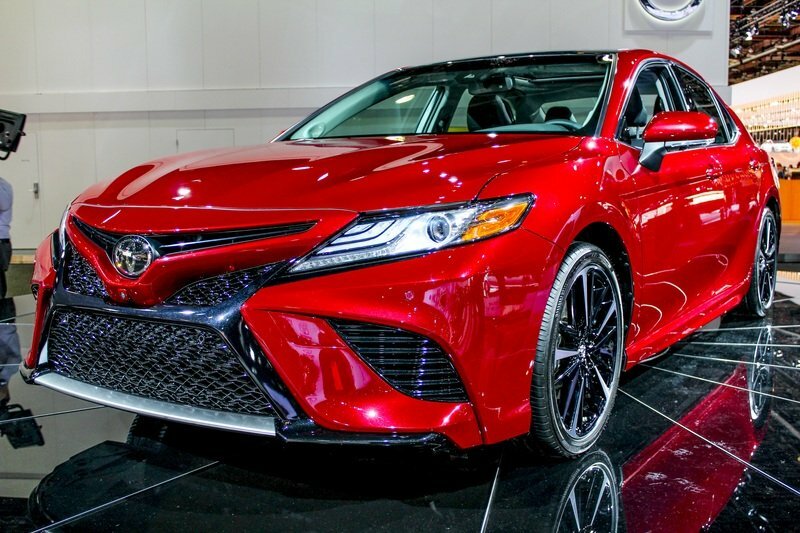 As such, the Camry deserves a spot for being among the really good highway cars out there that won’t break the bank. The Camry is the perfect example. It remains a best-seller in the mid-size sedan class and once you get inside you'll see why: a well-built and intuitive interior welcomes you, one that finally looks modern too. The Human Machine Interface with its 10-inch HUD is standard and, on the technical side of things, the base SE trim level packs a 203 horsepower four-pot mated to an eight-speed automatic. For top fuel economy, go for the LE Hybrid that’s good for 53 mpg on the highway. The base gas-powered Camry costs just $23,495 while the LE Hybrid has a price tag of $27,800. The latest Navigator is a glacier on wheels in terms of size. You’d basically have to have a windowless car to be able to say you hit a Lincoln Navigator because ti was in your blind spot. This translates to a huge seven-seat cabin with enough luxury to justify the Lincoln badge on the hood and enough tech to satisfy the buyer from 2019. Any Navigator is fitted with a 450-horsepower, turbocharged V-6 matched to a 10-speed automatic transmission. It comes with a six-year/70,000-mile warranty and eats a gallon of fuel every 23 miles on the highway, three miles more than in the case of the Escalade. Cadillac’s full-size SUV starts at $73,395 while the Navigator starts at $73,205 and you’ll need to add $2,600 if you want AWD for better pulls aboard this highway cruiser. 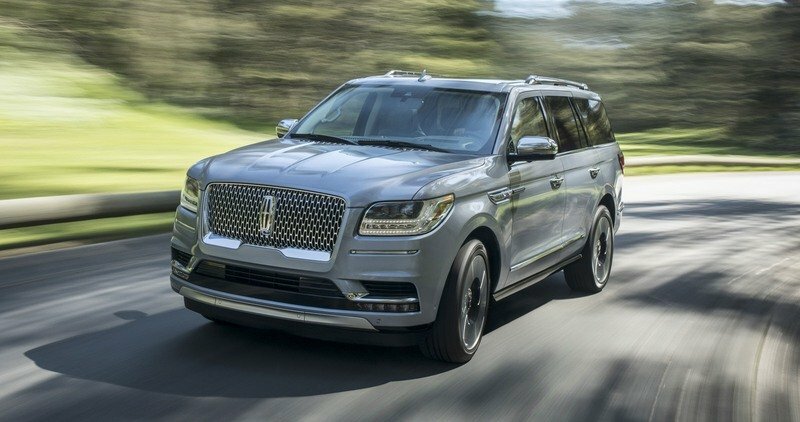 Read our full review on the 2019 Lincoln Navigator. The Stinger has all the ingredients for a surprise. Nobody thought the Korean manufacturer better known for its fleet of economical cars could come up with a four-door grand tourer with cool styling and impressive performance. 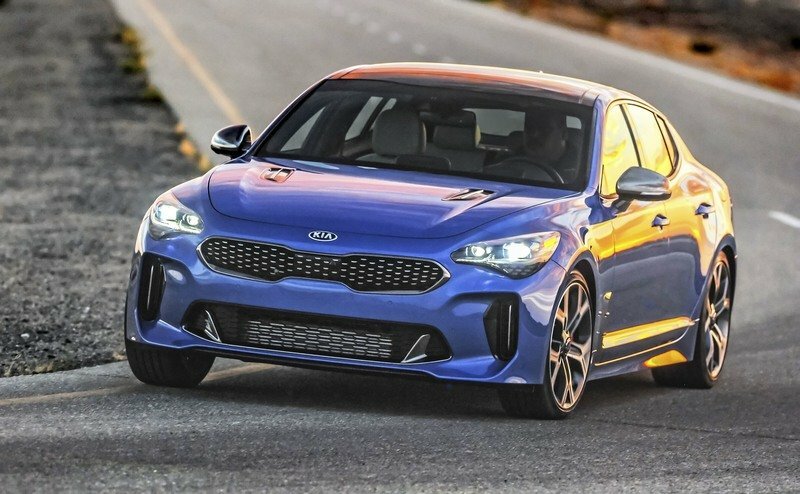 It's the performance that granted the Stinger a place on this list although Kia's halo model likes bends just as much as highway pulls. A 2.0-liter, four-cylinder engine is the base unit available for the Stinger but you should go for the bigger V-6 as you still save a lot of money in comparison to the rivaling BMW or Mercedes-Benz (the base Stinger costs $31,900 while the V-6 variant starts at $38,350, over $3,000 cheaper than anything from the German stables). Granted, you won’t get incredible mpg (the base model gets 29 mpg) but, since you’ll have to spend quite a lot of time commuting on the highway, you might as well have some fun doing it and you’ll certainly enjoy all of those 365 ponies under your right foot. Read our full review on the 2019 Kia Stinger GT. 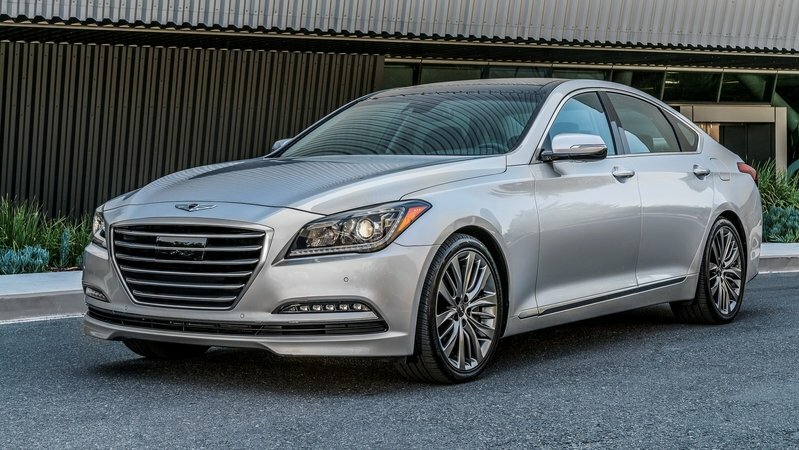 Hyundai’s premium brand, Genesis, is growing at an accelerated pace and the compact G80 sedan is proof of just how good a Hyundai-made vehicle can feel. For starters, the base price is just $41,750 and, for that money, you get an eight-inch touchscreen display inside with Apple CarPlay and Android Auto installed from the word go. You also get a 10-year/100,000-mile powertrain warranty that’s certainly reassuring. The only slightly bad thing about the Genesis is that the base engine, a somewhat big 3.8-liter V-6, isn’t as fuel efficient, although you still get 27 mpg highway, as the smaller units from BMW or Mercedes-Benz. But the G80 is a mid-size car with the price of a compact one from either of the two German brands. Read our full review on the 2019 Genesis G80. The Odyssey is the epitome of the modern people carrier so, if you’ve got to carry a lot of people as part of your highway commutes, the Odyssey is most likely the best highway cruiser of the lot because of just how practical it is. It can seat up to eight people, but you must remove the back row for maximum cargo space. With this being said, the Odyssey is a genuinely fuel-efficient minivan considering its size with an EPA estimate of 28 mpg highway. As you’d expect, the build quality is more than acceptable and the base 3.5-liter V-6 mated to an automatic gearbox has enough oomph to make passing and merging hassle-free. Having said that, you may find the 5.0-inch display (with no Android Auto or Apple Car Play available in standard) a bit lacking given the $30,190 base price tag which is over $3,000 over the cheapest non-hybrid Chrysler Pacifica. The third-generation Cadillac CTS will soon be heading to the retirement home along with its nameplate as Cadillac is now employing a new way of naming its cars, one awkwardly based around how much torque they make - measured in newton-meters, though, not in pound-feet. So, because there isn’t much in the way of reviews on the 2019 CT5 (just like we don’t know too much about the 2020 Genesis G80), I’ve decided to include the CTS here to perform its swan song. But this doesn't mean the CTS is bad on the highway. In fact, if the A6 is Germany's response to the question, 'what is the best highway car? ', the CTS is the answer coming from across the pond. Indeed, the mid-size Caddy comes with all the leather and wood you’d expect on the inside, an improved CUE infotainment system with Android Auto and Apple Car Play already installed and, under the hood, a lively four-pot (with most of the torque available from 2,100 rpm) as the base engine. The catch is that even the four-pot isn’t as fuel-efficient as BMW’s base mill (30 mpg highway versus 34 mpg) but the CTS is about $6,000 cheaper than a 5 Series at $46,995. Also, the CTS has a six-year/70,000-mile powertrain warranty. 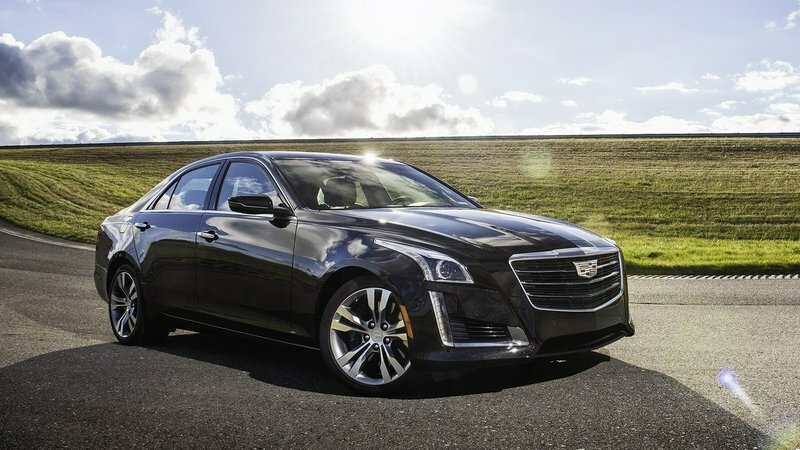 Read our full review on the 2019 Cadillac CTS. The Mazda CX-5 is undoubtedly a great all-rounder. The Japenese manufacturer added two new trim levels that take the CX-5 places it had never previously been before in terms of luxury as the top-of-the-line Signature model comes with a 360-degree camera, a seven-inch digital screen inside through which to operate the infotainment system (friendly with Android Auto and Apple Car Play from standard only in top trim), and traffic sign recognition among other ubiquitous safety features. 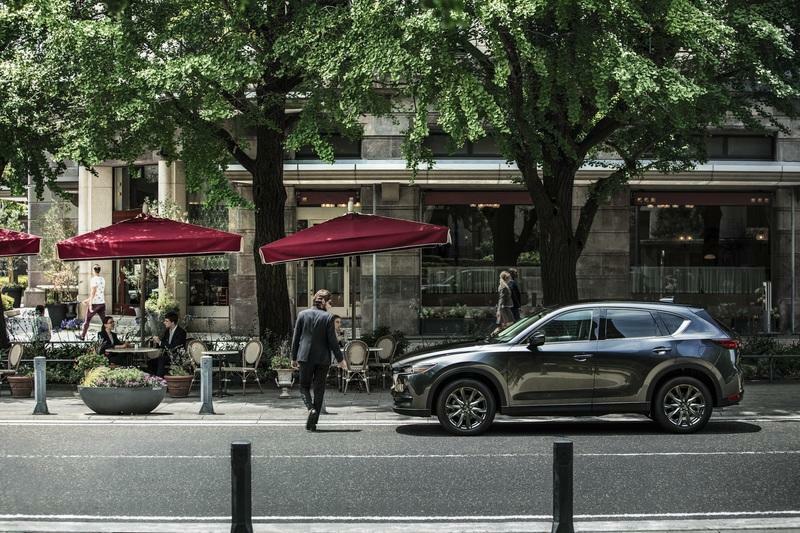 The standard engine on a CX-5 is the naturally-aspirated, four-cylinder with 187 horsepower and 186 pound-feet of torque at its disposal. It sends all the ponies to the front axle and this is why, if you want all that this platform has to offer, you’ll have to pony up some extra cash and go for a CX-5 Grand Touring or a CX-5 Signature as those come only with AWD and a bigger engine. The 250 horsepower and 310 pound-feet of torque 2.5-liter, turbocharged mill gives you all of its power on 93-octane fuel only and that’s something to consider when you’re already paying almost $37,000 on it (quite a lot in comparison to the $24,350 base MSRP but you do get a lot more car for your money). I picked the CX-5 because it’s probably the best compact SUV on the market today and it’s roomier than the CX-3 although cargo space is by no means impressive. The 3.3-liter engine gets 28 mpg on the highway while the base four-pot gets up to 31 mpg, numbers within the limits of the class. The 300 is, in some ways, an old school car but one that’s been getting better with age. As you’d expect after glancing at the proportions, the 300 offers a roomy interior and, while it may not feel as premium as, say, an Audi, it’s still a comfy car to ride in that knows how to absorb bumps and remains one of the best highway cars made in the U.S. The base Touring trim level comes with an automatic from standard and this is a good thing as, a few years ago, you had to pay $1,000 extra to get the automatic over a sluggish five-speed manual. With this engine installed you get 30 mpg on the highway and adequate amounts of power and torque to not have you lag behind traffic. In fact, the 292 horsepower V-6 cradles an extra 51 horsepower in comparison to the base Mercedes-Benz E300. The Chrysler is also cheaper than a Merc with a base price of $29,220 while Stuttgart’s sedan starts at just over $53,000, as much as a 5 Series. The 300 is also cheaper than the Genesis G80 and the other less-premium-feeling big sedans like the Kia Cadenza, Toyota Avalon or Nissan Maxima. In fact, the only car that can rival in terms of price is the Buick LaCrosse while the Chevy Impala is cheaper by about $1,000 but you can wholeheartedly feel it. 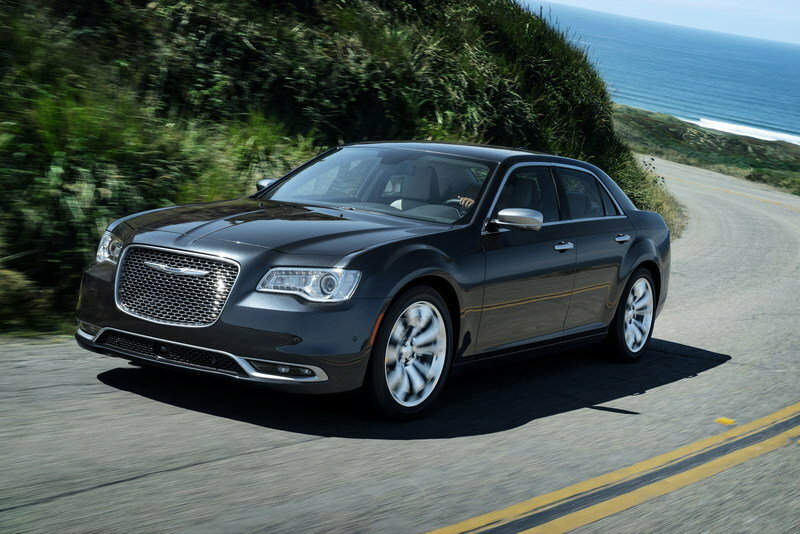 Read our full review on the 2019 Chrysler 300. The Grand Cherokee built its reputation as a more street smart Jeep, the first genuine SUV. Over time, it has become more and more fond of the streets and, as this is the topic of our discussion, the highways. 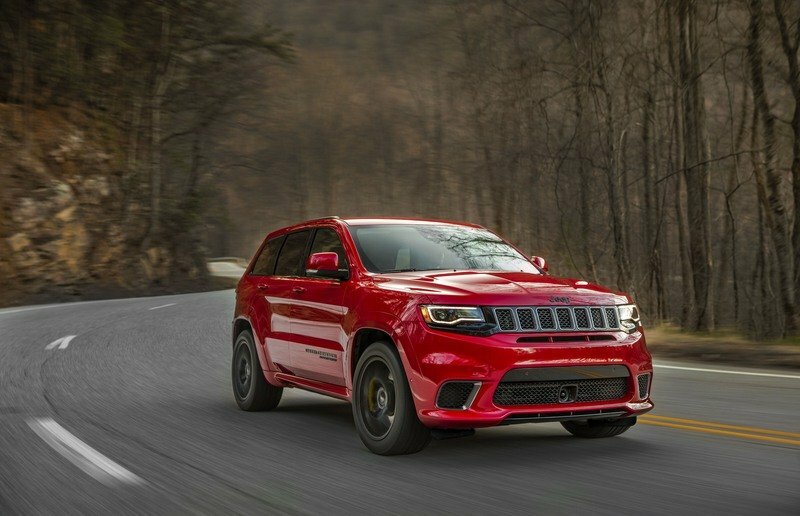 You’re probably a fan of the 707 horsepower Jeep Grand Cherokee Trackhawk but even your average Grand Cherokee will cheerfully eat miles up and down the highway. The infotainment system is intuitive, the cabin looks and feels upmarket, and the Grand Cherokee is affordable with a base price below that of a Mazda CX-9. 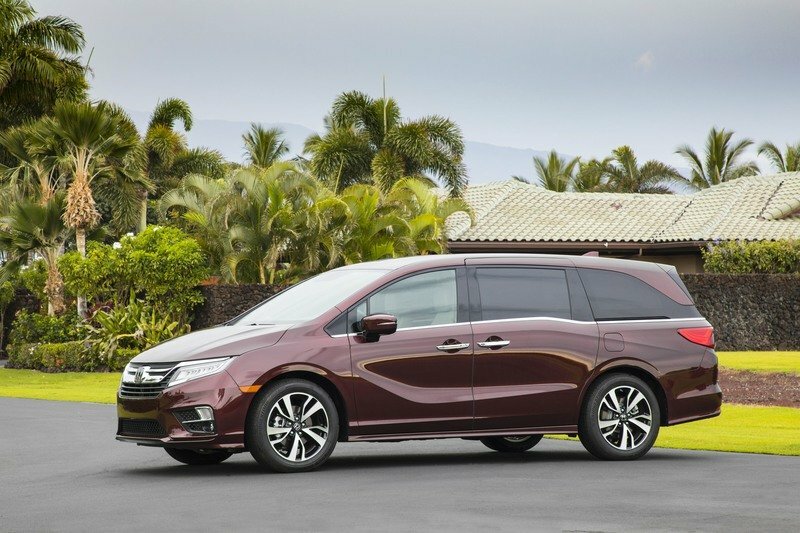 It starts at just $31,945 which makes it about as expensive as a bare Honda Passport, an SUV that offers more cargo space in comparison. For best fuel efficiency pick the 3.0-liter EcoDiesel engine with an EPA-estimated economy on the highway of 30 mpg (choosing the diesel adds $4,500 to the price of a Grand Cherokee and is only available from the $39,195 Limited trim level upwards). Nevertheless, that means the diesel Grand Cherokee can traverse some 700 miles-worth of highway on one tank of fuel. Also, in a bid to keep you safe, Jeep made blind spot monitoring and rear cross traffic alert standard for the 2019 model year. Read our full review on the 2019 Jeep Grand Cherokee.